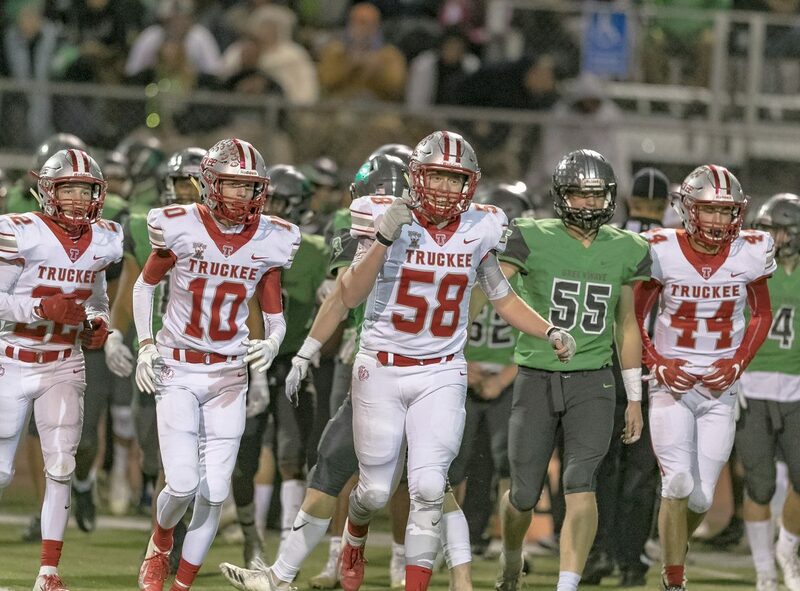 Truckee faces Churchill County in the Class 3A state championship at Carson High School on Saturday, Nov. 17. 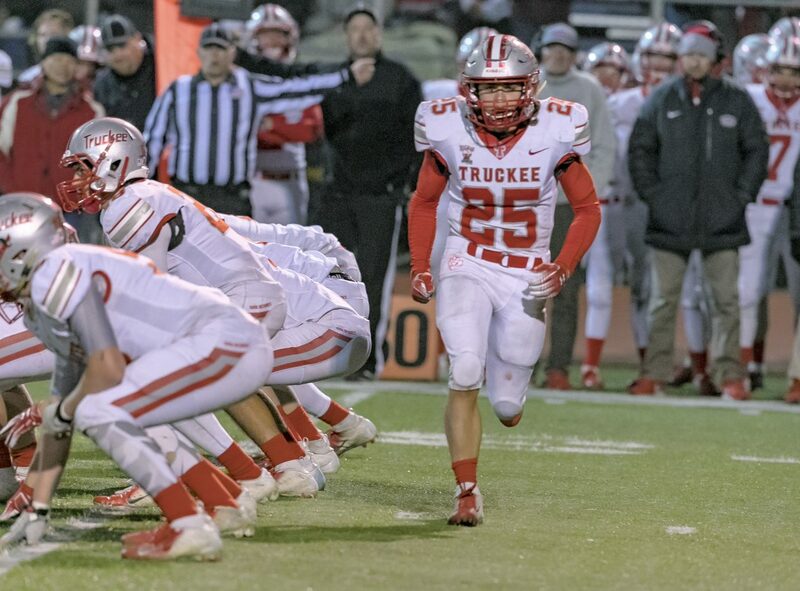 A memorable season by the Truckee football team ended with a Class 3A state runner-up finish after the Wolverines were defeated in the championship game by Churchill County. 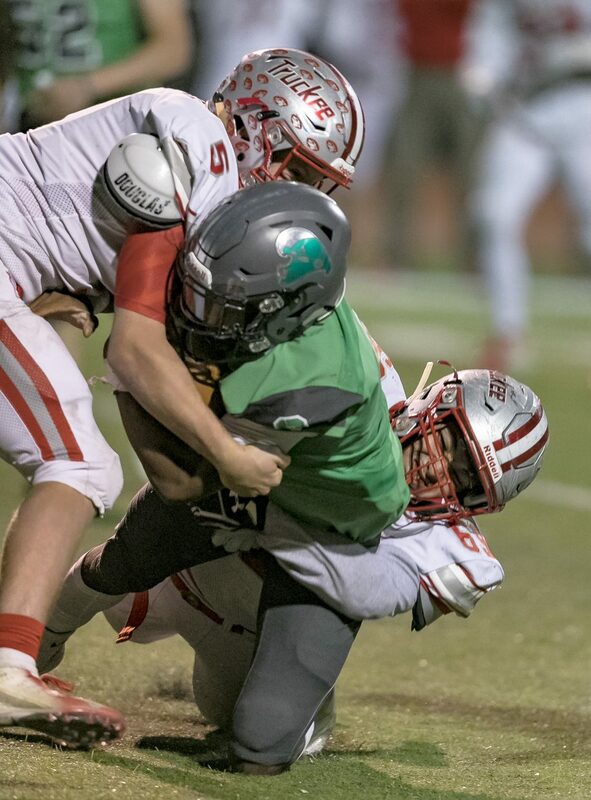 The Greenwave bounced back from an early 7-0 deficit behind senior Sean McCormick’s three touchdowns on Saturday night, sparking a 28-7 victory at Carson High School. 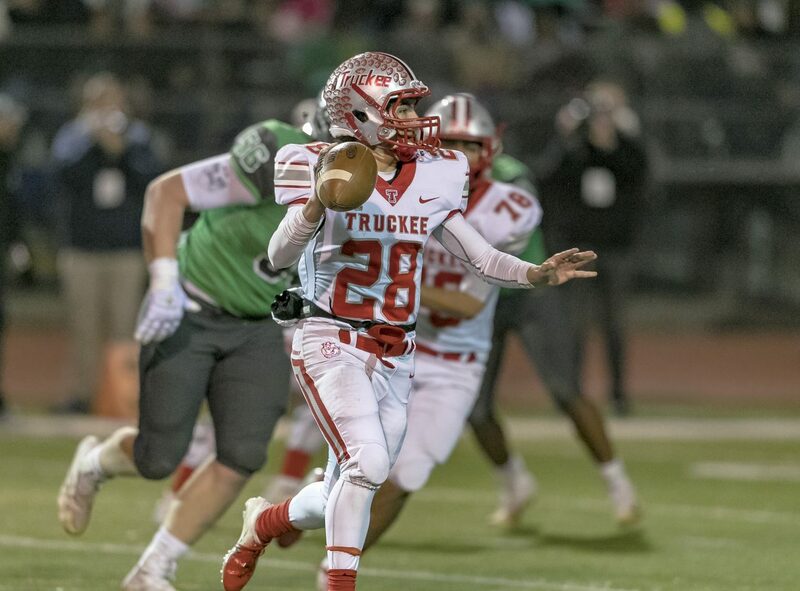 Truckee got off to a solid start, forcing a three-and-out on the opening drive. 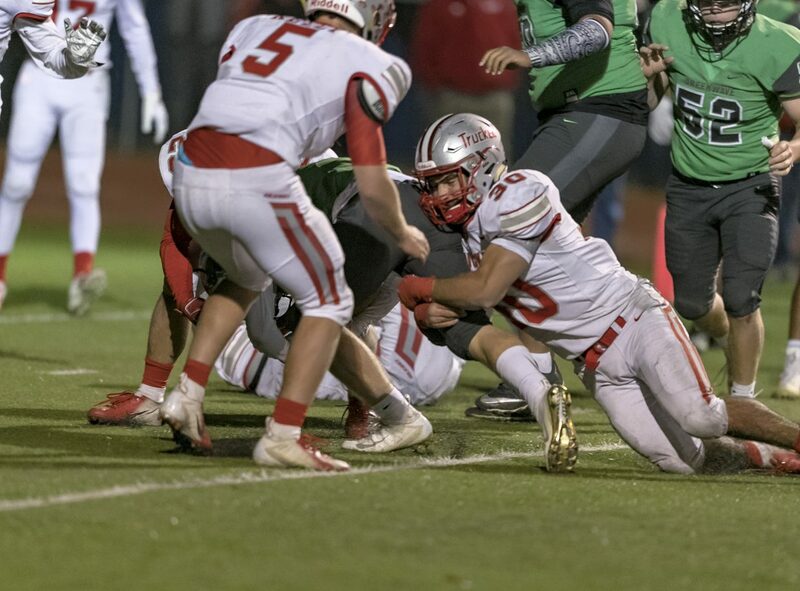 Junior George Skaff then blocked a punt on the next Fallon possession to give the Wolverines the ball at the Greenwave 39-yard line. 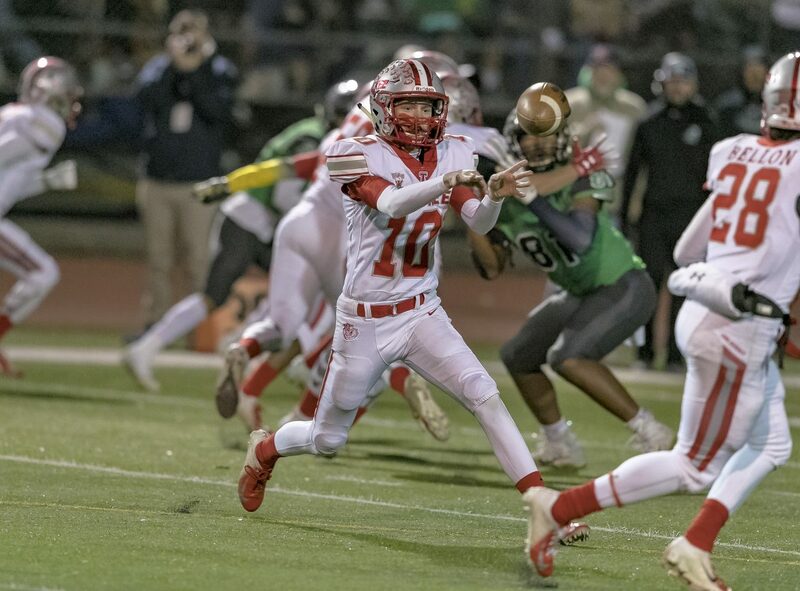 During the series, senior quarterback Marcus Bellon converted a third and long on a run play down to the 23 yard-line. 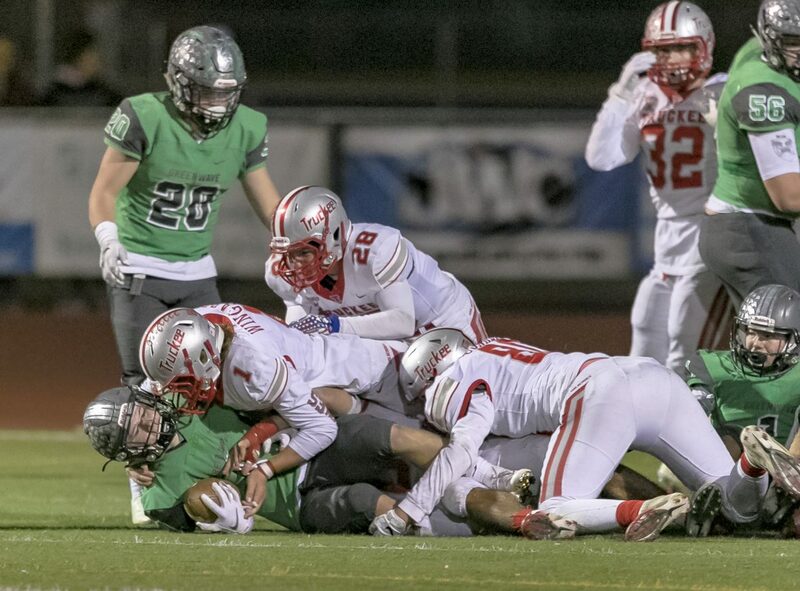 The Wolverines later faced another third and long, and after scrambling to buy time, Bellon found senior Brennen Conklin in the end zone for the game’s first touchdown. 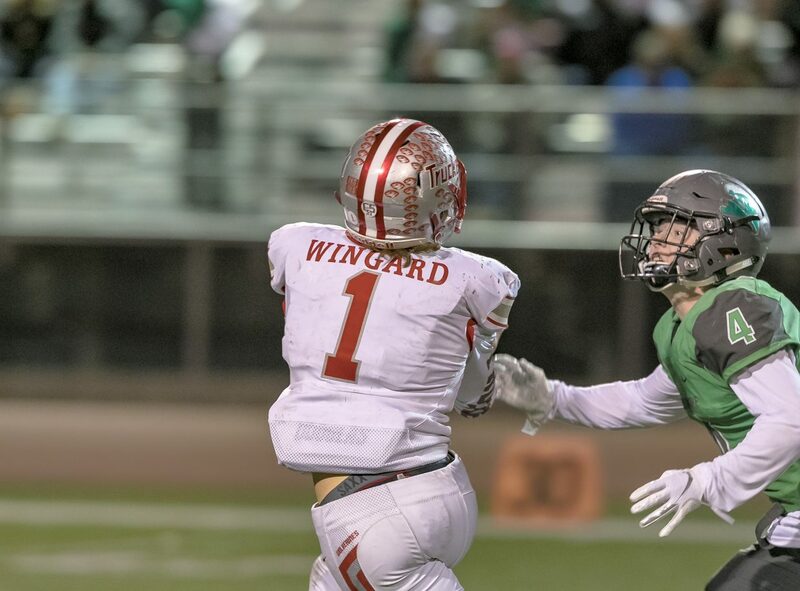 In the second quarter, Churchill County Junior Tommy McCormick set up the team’s first points with a great grab in double coverage on a 31-yard pass to the 7-yard line. 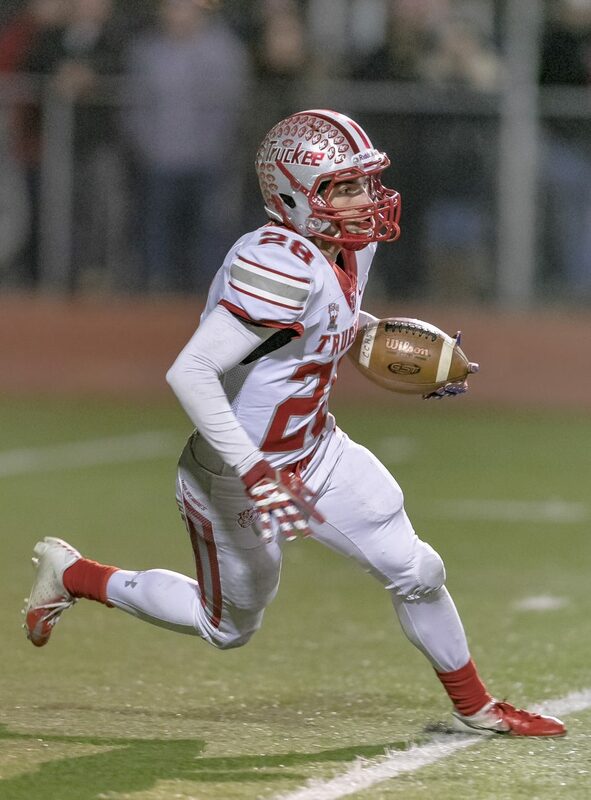 Sean McCormick later capped the drive off with a short touchdown run, followed by running in the two-point conversion for an 8-7 lead. 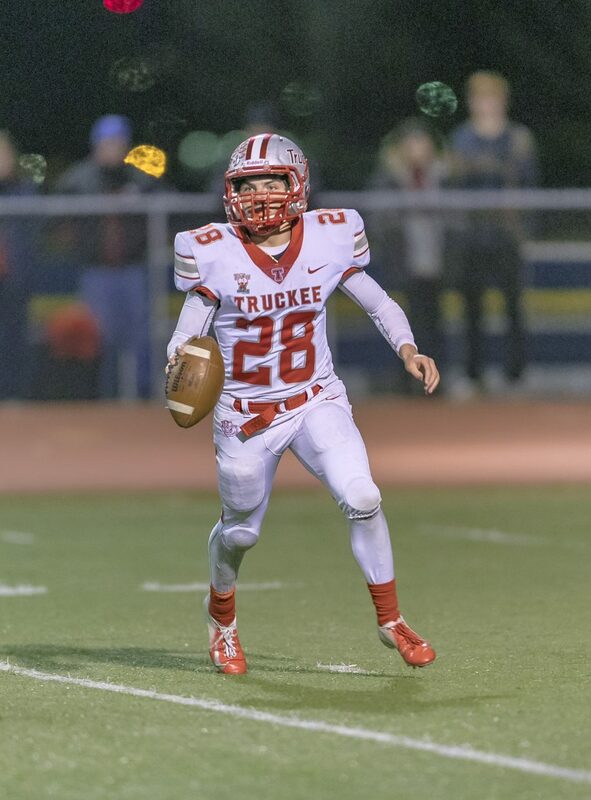 Truckee drove into Churchill County territory on the ensuing possession, but the drive stalled and a 45-yard field goal attempt sailed wide. 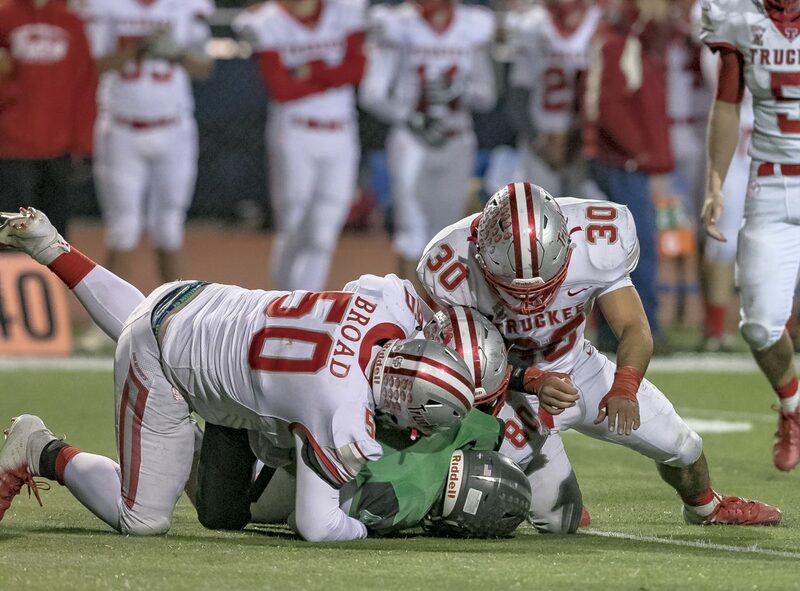 After the defense forced their third, three-and-out of the evening, the Wolverines offense began moving the ball again, but penalties — an issue for Truckee all evening — derailed the drive. 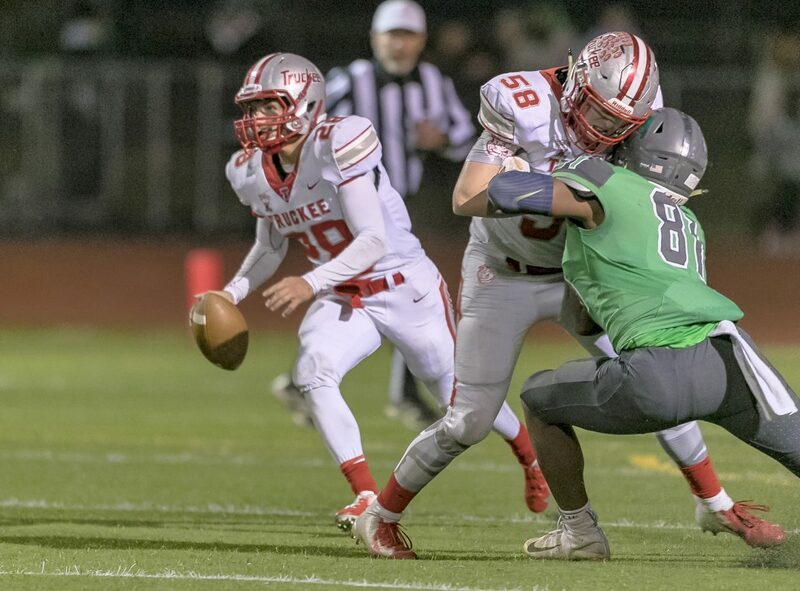 Sean McCormick returned the ensuing punt to Truckee’s 41-yard line, and would later turn a screen pass on third down into a 33-yard touchdown reception. 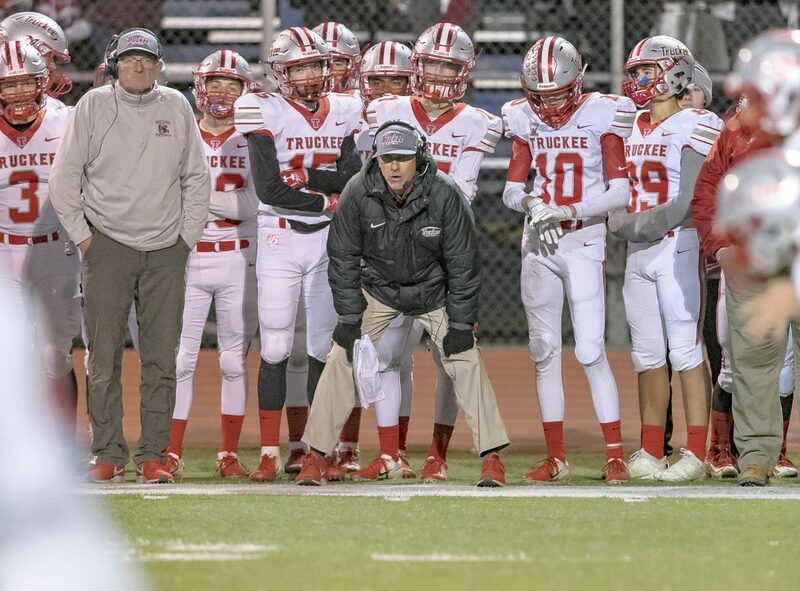 The failed two-point conversion left the score 14-7. 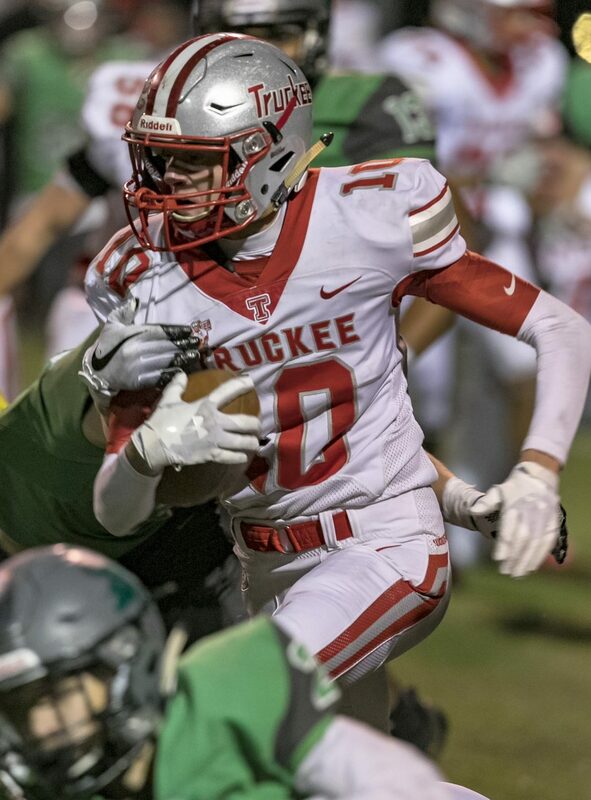 Truckee would have an opportunity to score before the half after Bellon floated a perfect ball down the sideline for 33 yards. 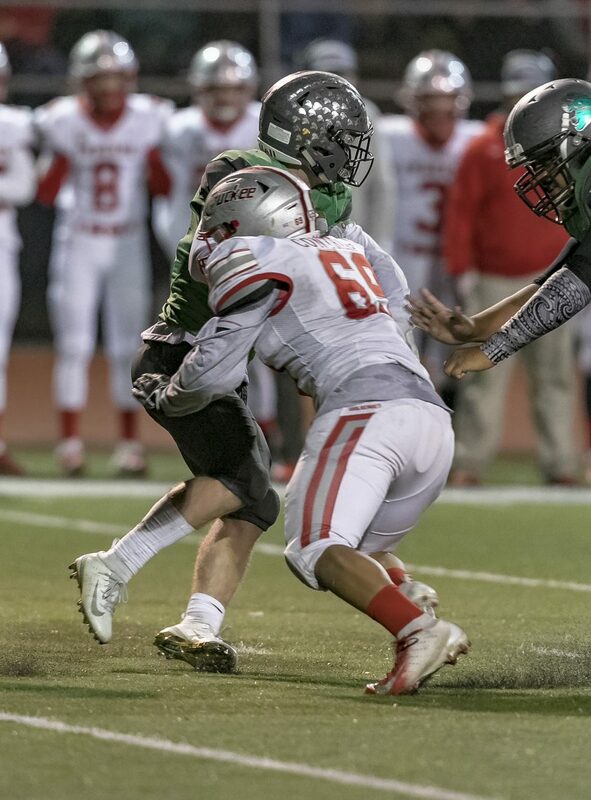 A sack later in the drive, however, would force Truckee to punt. 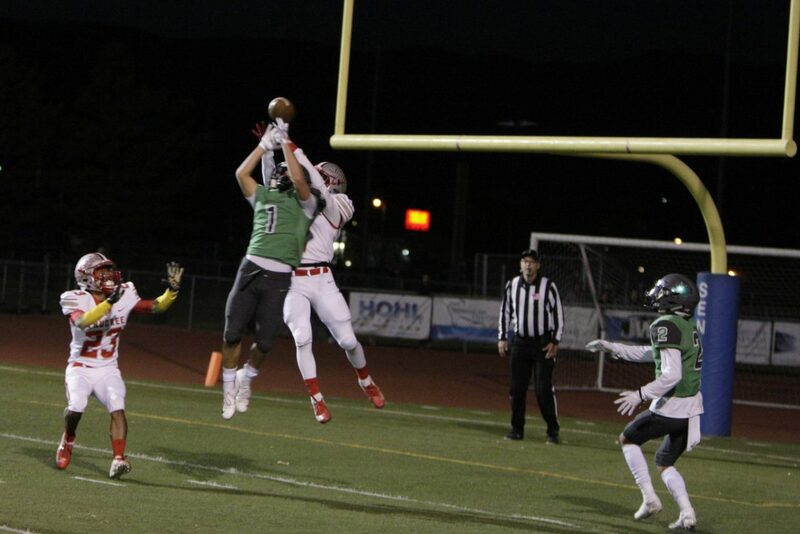 Churchill County’s defense started the second half by holding Truckee to a three-and-out. 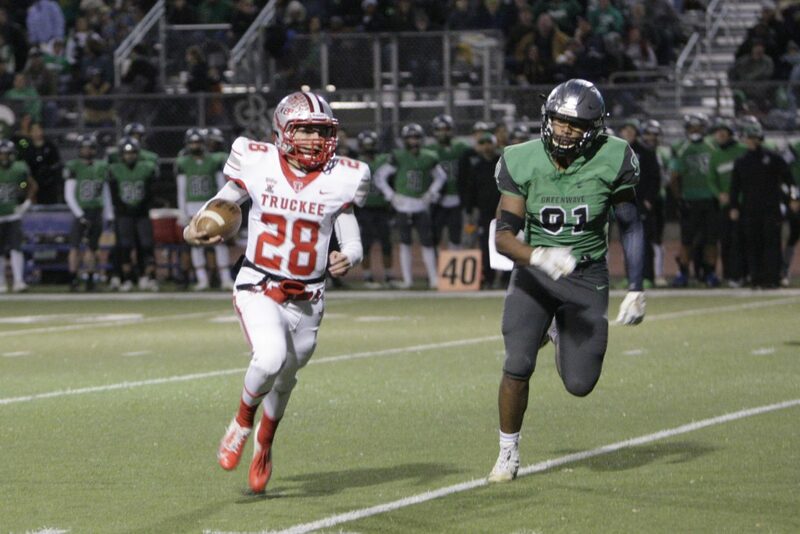 The Greenwave then drove 57 yards for another score, capped off by senior Brock Richardson’s 3-yard touchdown run. 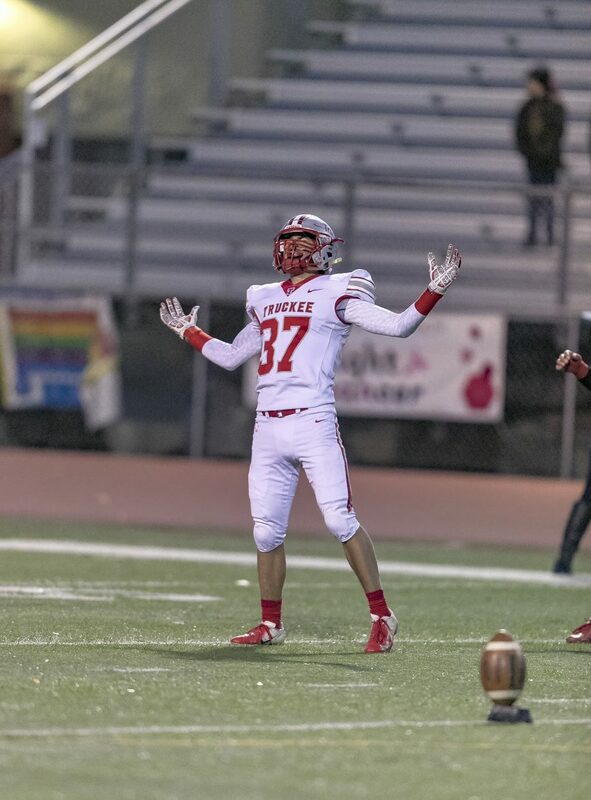 The failed two-point conversion left the game at 20-7. 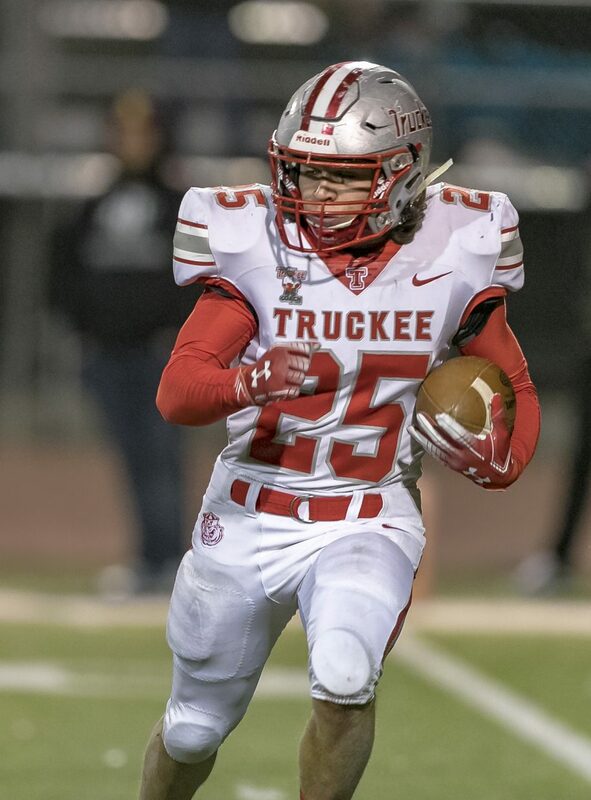 Truckee’s next drive ended with an interception by Sean McCormick, who returned the ball to the Wolverines 38-yard line. 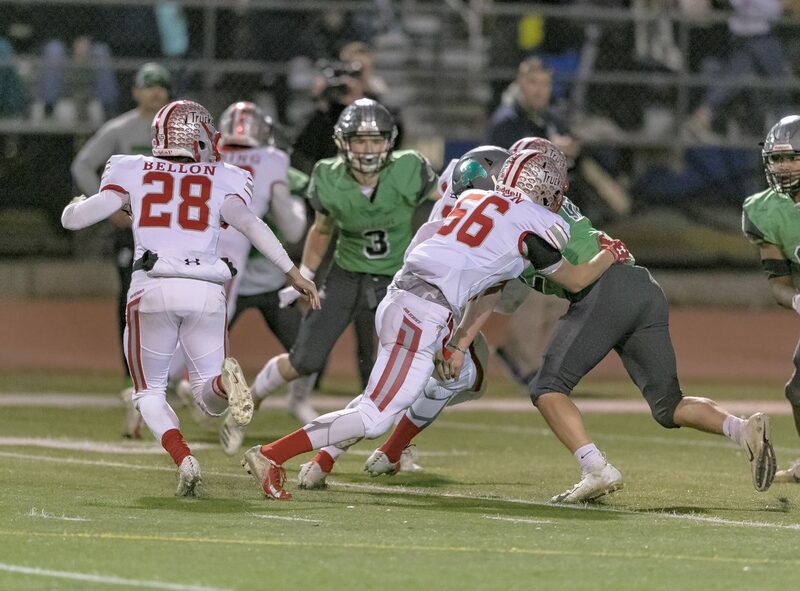 After being stopped on three consecutive plays, the Greenwave went for it on fourth and 8, but Truckee junior Tyler Estabrook intercepted the ball and returned it to the Wolverines 11-yard line. 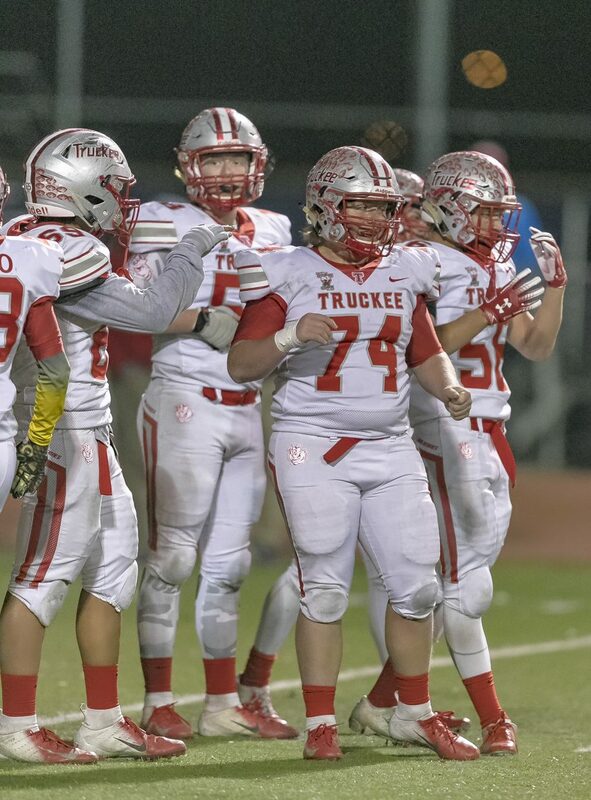 For the third time in the quarter, Truckee’s offense failed to move the ball, resulting in good field position for Churchill County. 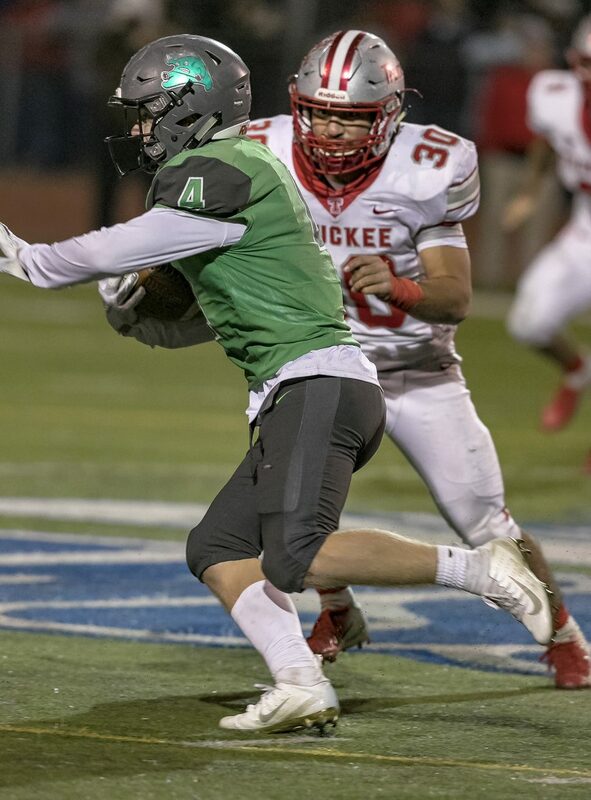 Sean McCormick took advantage of the short field, gashing the Wolverines for 21 yards, and the again on a 15-yard touchdown run. 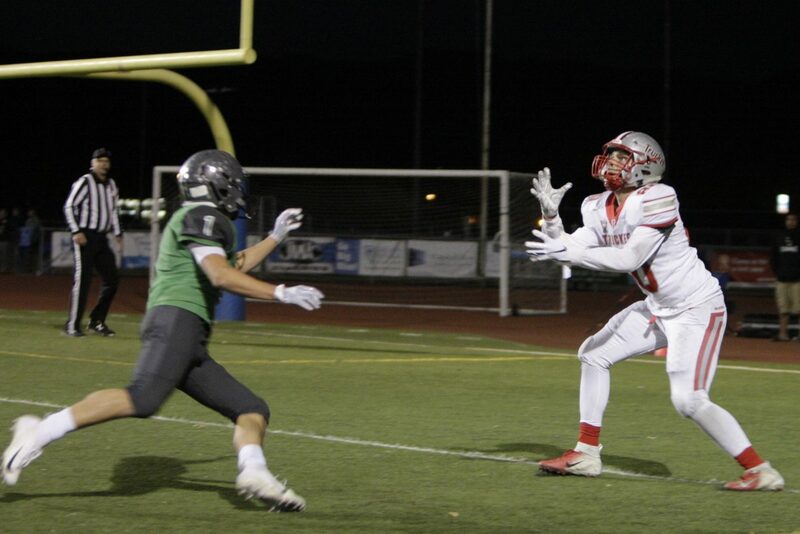 McCormick ran in the two-point conversion to make the score 28-7. 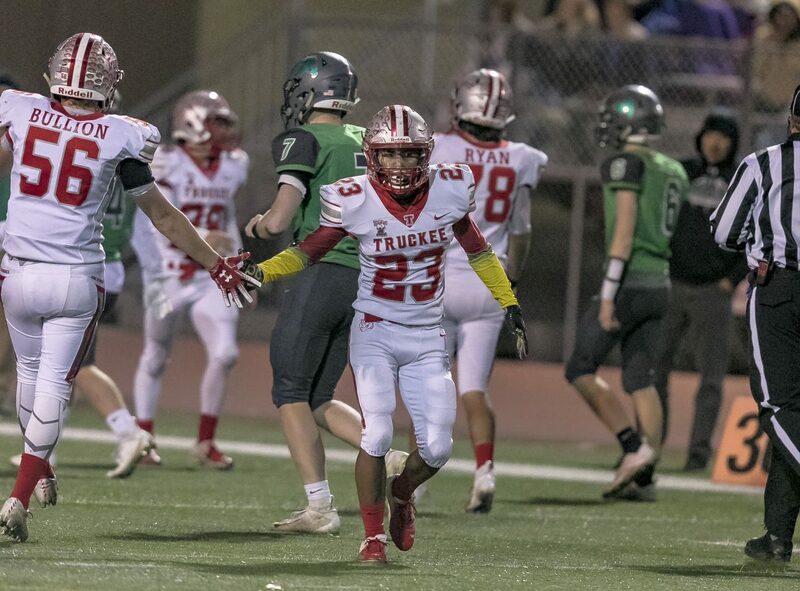 After the offense went three-and-out, Truckee got a break on a Fallon fumble that senior Jackson Skaff recovered at the Greenwave 25-yard line. 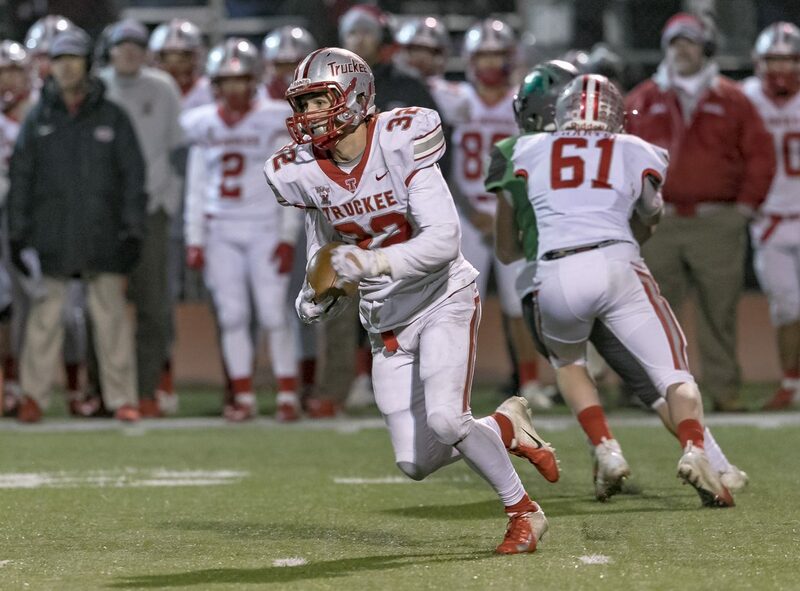 Bellon later found senior Kevin Malo for 23 yards on a third-and-14 pass down to the 4-yard line. 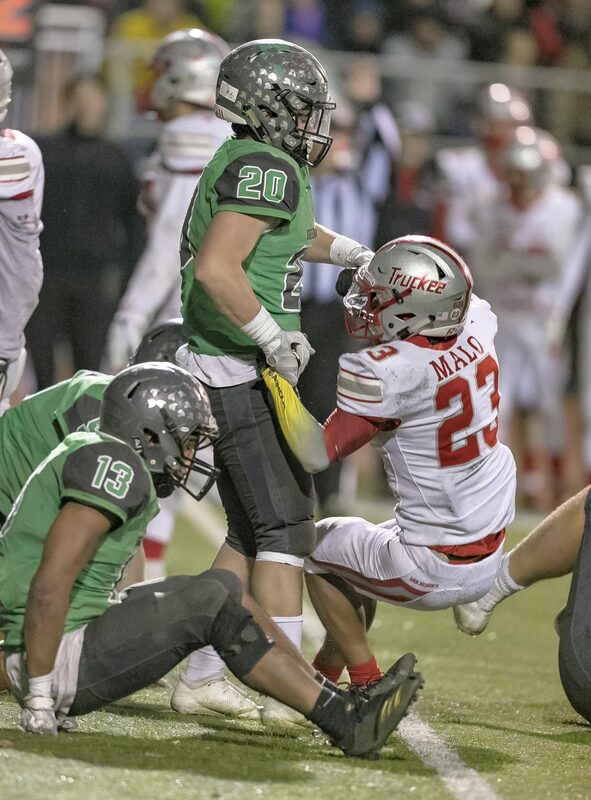 Unfortunately, the Wolverines would be stopped on four straight plays, giving the ball back to the Greenwave on downs. 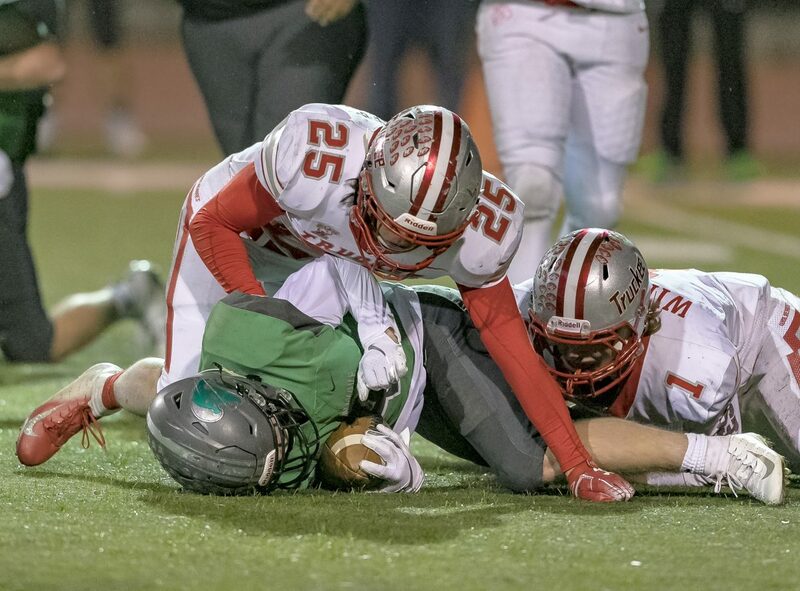 From there, Sean McCormick salted away much of the game, picking up a trio of first downs as Churchill County went on to claim this year’s state title. 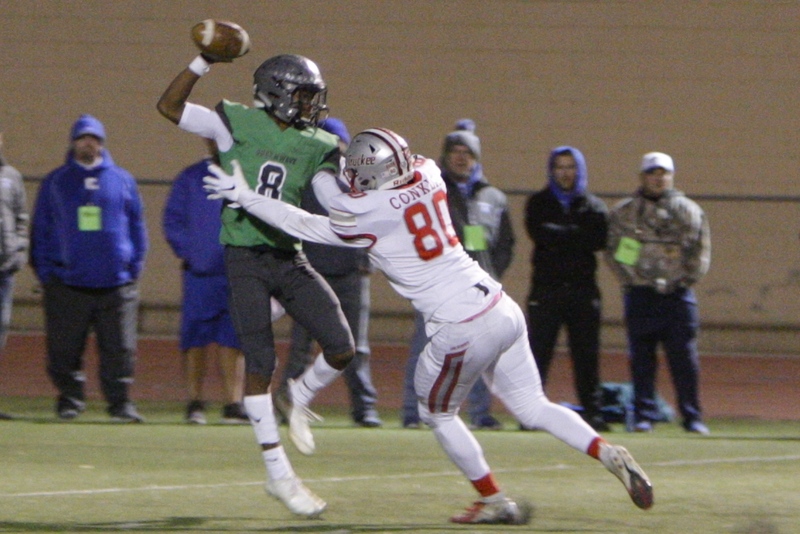 The Greenwave last won in 2015. 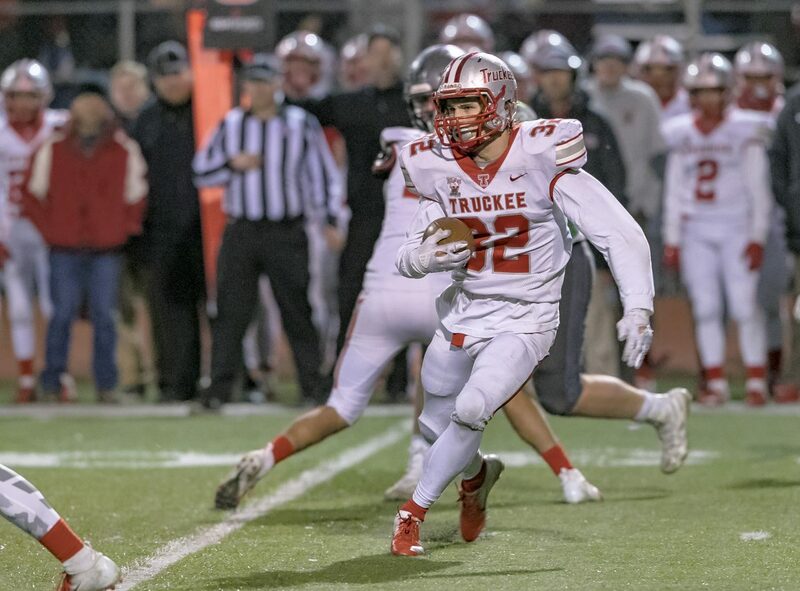 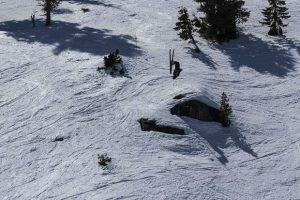 The contest marked the first time since winning the championship in 2012 that Truckee has played in a state title game. 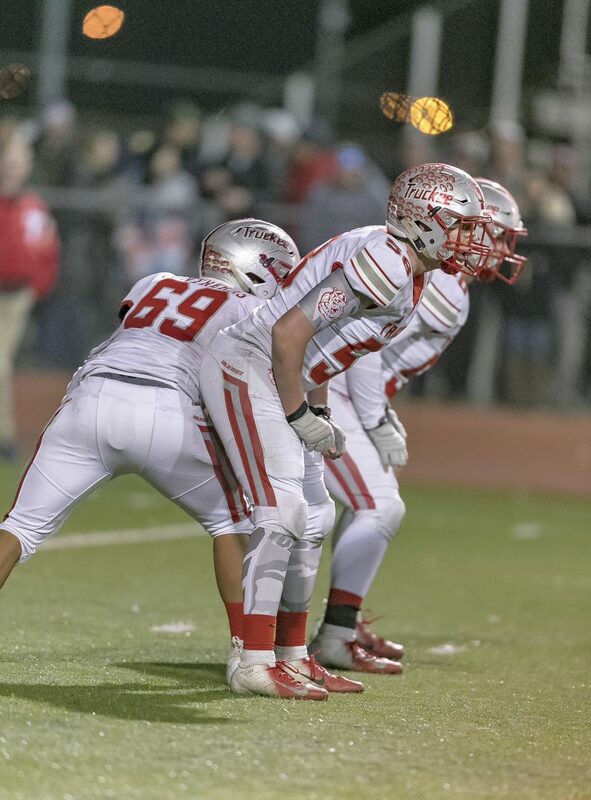 The Wolverines sported a senior-heavy lineup this season, and will graduate many key contributors off this year’s team. 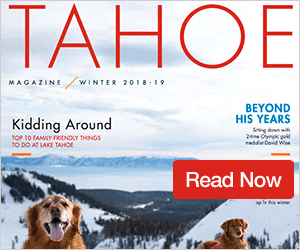 “They got Truckee back in the state championship. 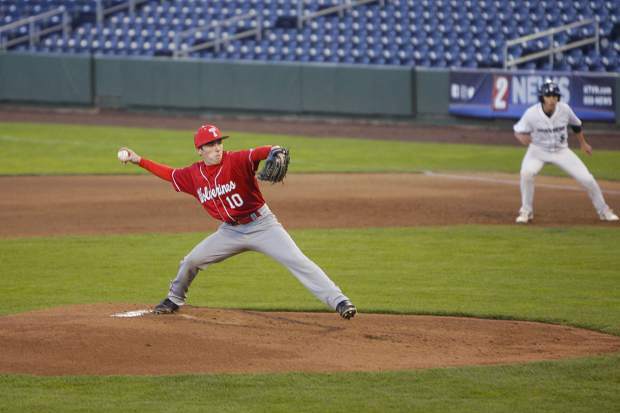 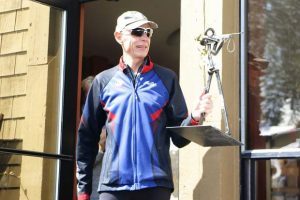 We’ve been out six years, and they got us here and gave us a chance to play for it,” said Ivens on the senior class. 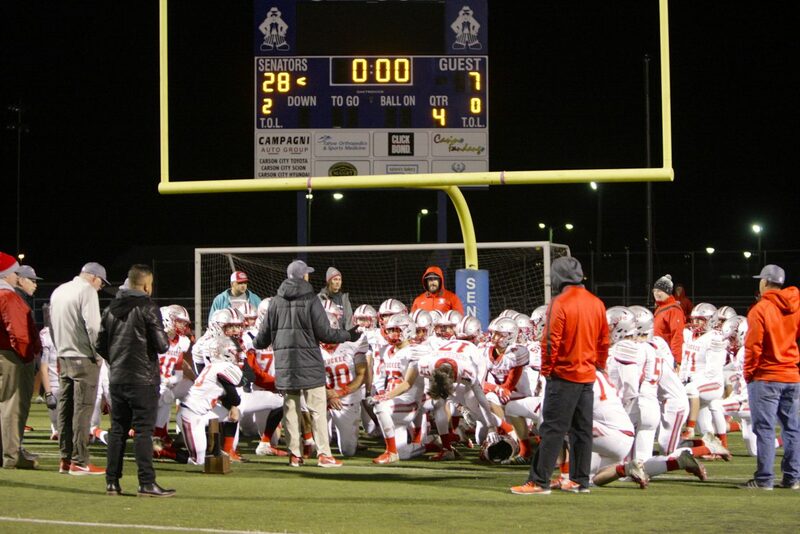 “I can’t be any more proud of them for all the hard work they’ve put in for four years. 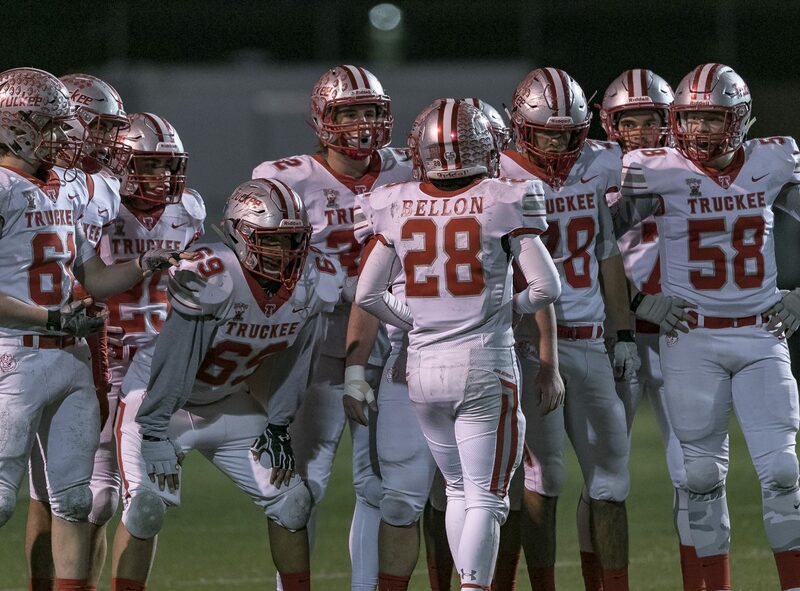 I know they’re going to do great things beyond high school.